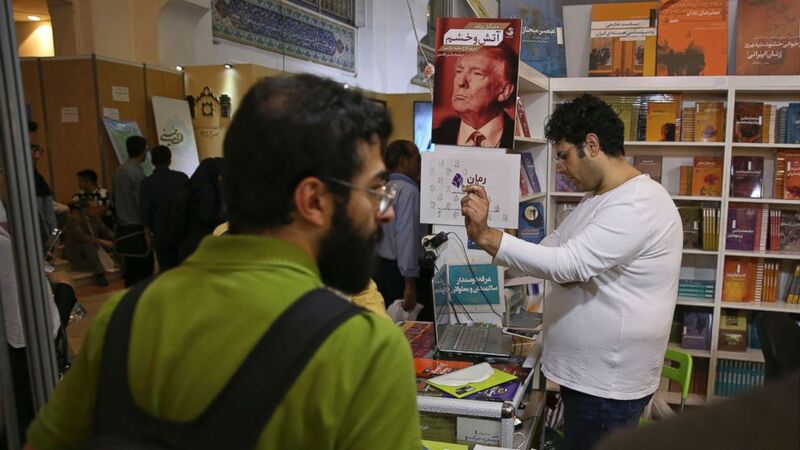 Iran's supreme leader stopped by a book fair in the Iranian capital and was photographed perusing a copy of a bestselling book that portrays a White House in chaos under President Donald Trump. Ayatollah Ali Khamenei was seen holding a Farsi edition of Michael Wolff's "Fire and Fury: Inside the Trump White House," in a post on his website Friday. 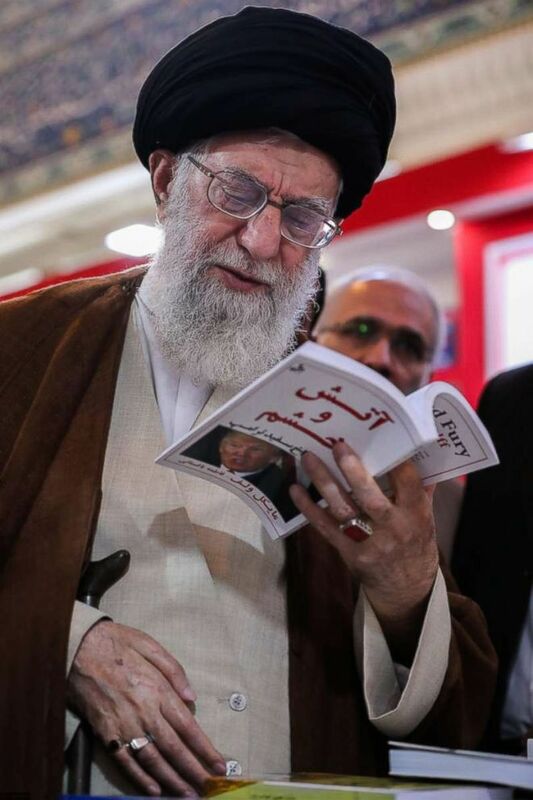 (Khamenei.ir) Iran's Supreme Leader Ayatollah Ali Khamenei stopped by the 2018 Tehran International Book Fair and was photographed perusing a Farsi copy of the book "Fire and Fury," by Michael Wolff, according to a post on his website on May 11, 2018. 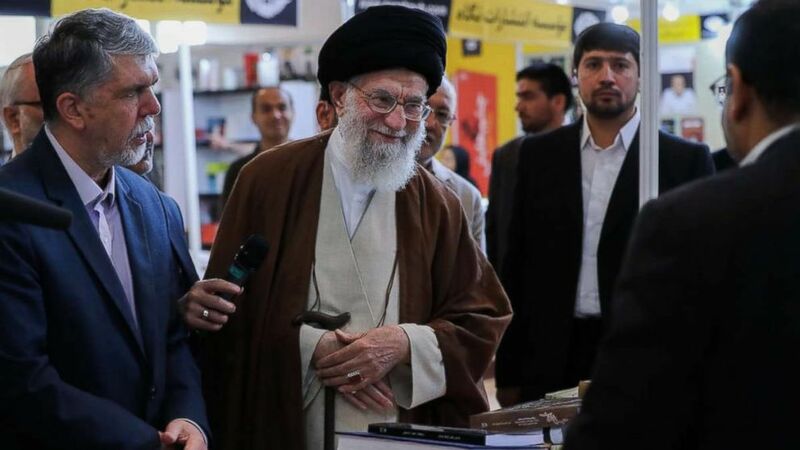 The supreme leader was visiting the 2018 Tehran International Book Fair, according to his site. "Fire and Fury" created a media firestorm around the Trump administration when it was published earlier this year. Khamenei earlier this week lashed out at Trump for announcing the United States would withdraw from a 2015 agreement over Iran's nuclear program. (Vahid Salemi/AP) A poster advertising the farsi translation of the book, "Fire and Fury," by Michael Wolff. is displayed at a booth at the International Book Fair, in Tehran, Iran, Tuesday, May. 8, 2018. "You cannot do a damn thing!" Khamenei told Trump, in comments he made before school teachers, according to the Associated Press. "The body of this man, Trump, will turn to ashes and become the food of the worms and ants, while the Islamic Republic continues to stand," Khamenei said, referring to Iran, the AP reported.